Scented candles have long served as tried-and-true stocking stuffers, but Rewined's recycled versions made with real wine bottles up the green quotient (and the wow factor) on this "safe" gift. Each one is crafted from a repurposed bottle that is cut and filled with one of the company's signature wine-inspired scented waxes. They make thoughtful gifts for the oenophiles on your list as well as anyone who could use a nice, relaxing fragrance to counteract the hubbub of the holidays. 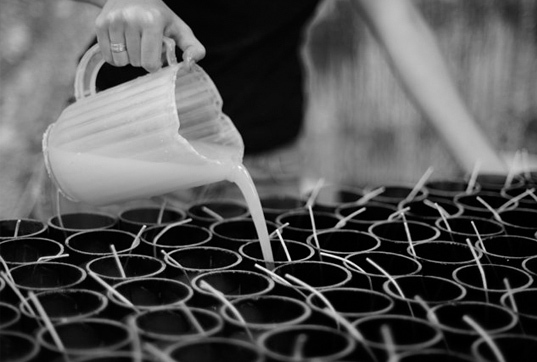 Rewined is based in Charleston, South Carolina, but the team gathers inspiration for its candles from as far away as Chile. For their newest scent, they recently visited Chile’s Colchagua Valley to meet the winemakers who make Root:1, a wine pressed from grapes grown on original, ungrafted root systems and produced using sustainable methods. The sights, smells and sounds from that trip were captured in Rewined’s new limited edition Carmenere candle, which emphasizes the wine’s bold notes, soft herbal tones and black fruit finish. Each Rewined candle starts with a wine bottle that would have otherwise been sent to the dump or a recycling facility. Repurposing them into candle holders actually uses less energy than would be spent to melt the bottles down completely, and the result is a product that marries the source materials’ original use to its new life in a charming way. 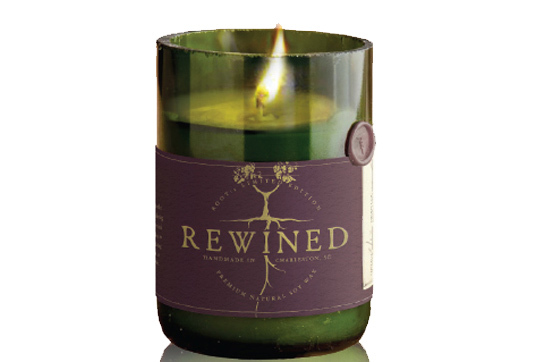 Rewined is based in Charleston, South Carolina, but the team gathers inspiration for its candles from as far away as Chile. For their newest scent, they recently visited Chile's Colchagua Valley to meet the winemakers who make Root:1, a wine pressed from grapes grown on original, ungrafted root systems and produced using sustainable methods. The sights, smells and sounds from that trip were captured in Rewined's new limited edition Carmenere candle, which emphasizes the wine's bold notes, soft herbal tones and black fruit finish. Each Rewined candle starts with a wine bottle that would have otherwise been sent to the dump or a recycling facility. Repurposing them into candle holders actually uses less energy than would be spent to melt the bottles down completely, and the result is a product that marries the source materials' original use to its new life in a charming way.